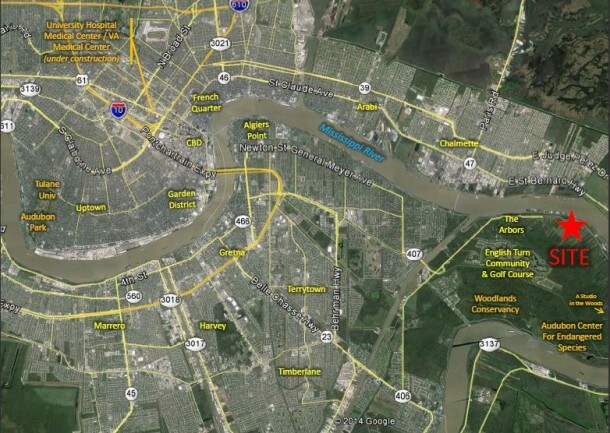 Richard Weber and Emily Kramer are selling a site with approximately 88 acres in the Lower Coast of Algiers that is just 8 miles from the Central Business District (CBD) and world famous French Quarter. This rural setting offers an opportunity for “country living” in Orleans Parish. This is a rare opportunity to create an Estate or a retreat this close to the heart of New Orleans. This tranquil getaway has served as pasture land since it was decommissioned as a Navy Airfield. The property is zoned RS-1 and is bounded by Patterson Road (north side), Delacroix Road (south / east sides), Willow Drive (west side), and Stanton Road (north / west side). It is listed at $1,760,000. For more information call Richard or Emily at 504.581.5005.